Wondering what to do with an extra rutabaga that’s begging to be eaten? Try this easy recipe for Honey Glazed Rutabaga. It’s all done in one pan in two simple steps: boiling the rutabaga first, then glazing it. It’s simple and delicious and the flavorings can be adjusted based on your preferences. The recipe is below. Enjoy! Peel and cut the rutabaga into small cubes. 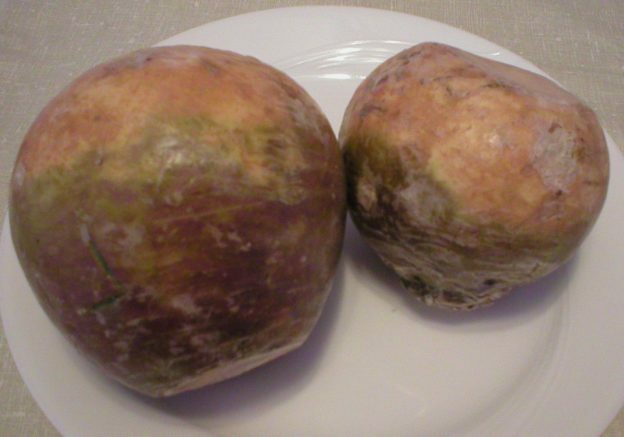 Boil the rutabaga in salted water for 15 minutes, or until fork tender. Drain and return the cooked cubes to the same pan. Add butter, honey, a pinch of salt, and a pinch of ground ginger (if desired), and stir the mixture to coat the rutabaga. Place the pan over medium heat and continue stirring/tossing the rutabaga until any remaining water is evaporated, the glaze turns clear, and the rutabaga cubes begin to brown, about 5 to 7 minutes, depending on the size of your pan. Serve and enjoy! Tip: Preparing this in a skillet will help in the glazing step, allowing more of the rutabaga to glaze/brown at the same time, versus doing it in a saucepan. This entry was posted in Food and tagged easy rutabaga recipes, honey glazed rutabaga, rutabaga recipe on January 31, 2019 by Judi.